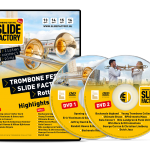 Blow along with the Mega Trombone Ensemble! 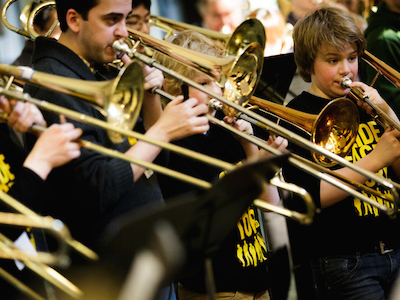 Take your trombone with you to the festival and play along in the Mega Trombone Ensemble. 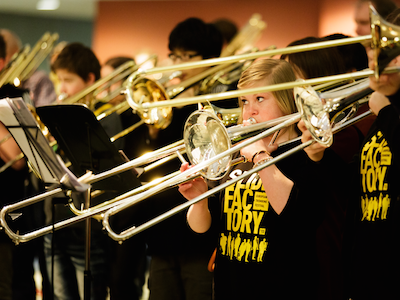 The ensemble consists of many trombonists: students, festival soloists and everyone who can play the trombone. A unique experience. 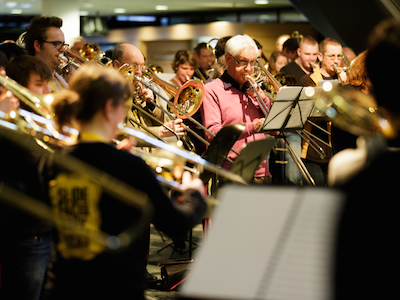 Trevor Grahl composed and collected a piece, called 150TBNS (One-hundred Fifty Trombones), especially for the festival and suitable for all levels. The festival has provided a trombone park where you can safely store instruments and other large cases.